This is the time of year when people start focusing on making and trying to keep New Year's Resolutions! (I know I made mine already!) Two resolutions, getting organized and starting to exercise more, are always on top of everyone's lists. Julee from D.I.Y. Louisville and I decided to make it easier for you, by showing you how to make simple crafts that will help you stick to your resolutions. 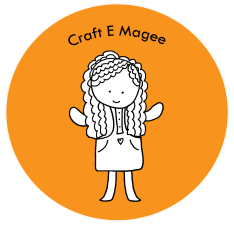 Over on her blog, Julee has an awesome magnetic/chalkboard message center and free printable calendar. 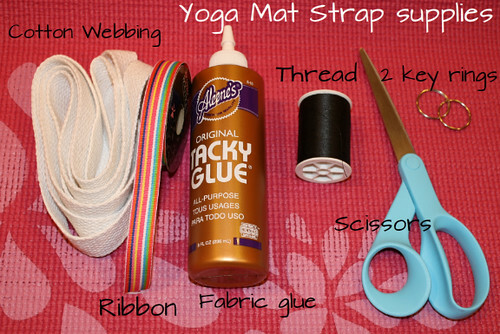 Below, I will show you how to make a simple strap to carry your yoga mat, and a sturdy handle for your keys or water bottles as you trek to the gym! 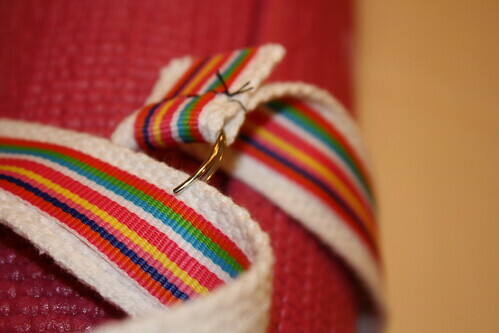 After you cut the cotton webbing and ribbon to your desired length, glue the ribbon in the middle of the cotton webbing. Allow several hours to dry. 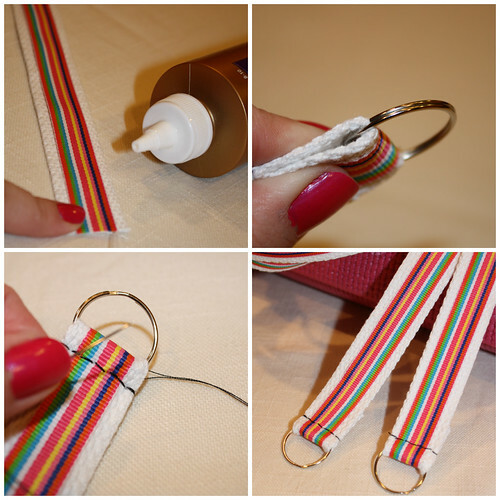 When the glue is dry, take a key ring, and fold the end of the strap over the ring. Hand sew to finish this end. Repeat on other end of the strap. 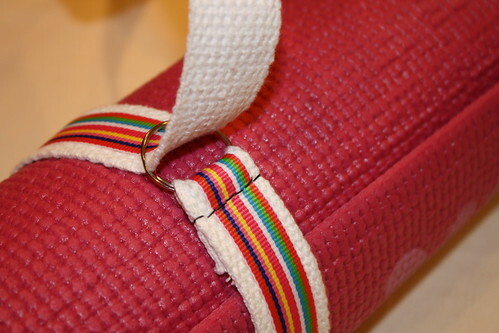 Loop each end of the yoga map strap and secure the key rings around the strap. 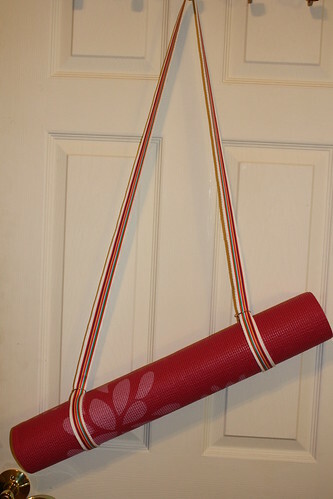 Now you have an awesome strap to carry your yoga mat to class! 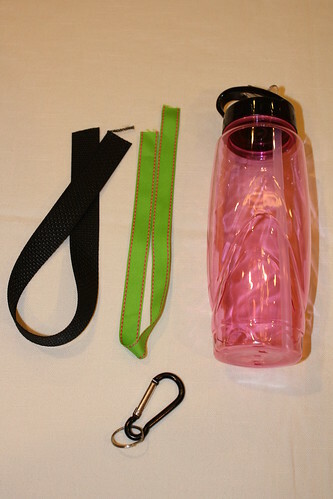 You can use the same supplies to make a "key fob" or handle for your water bottle. 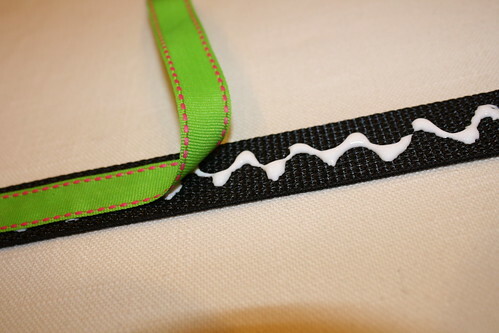 Again, the first step is to glue your ribbon to your cotton webbing. 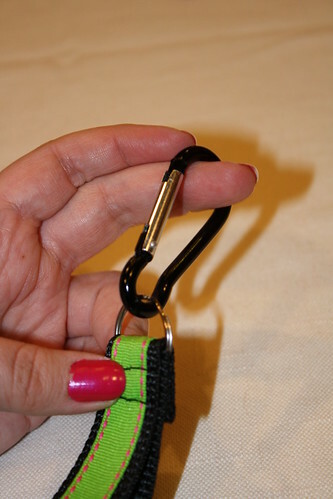 Once the strap is dry, place one end of the strap under the key ring. 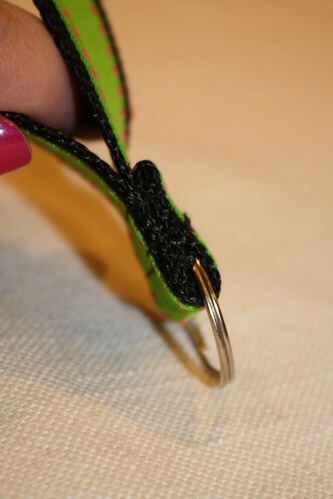 Loop the other end of the strap through the key ring, and fold end under. Sew loop into place, finishing ends of strap and securing key ring into place. 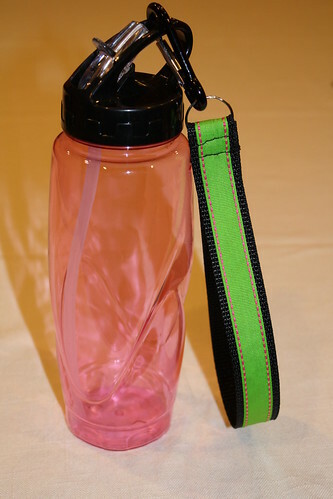 The carabiner makes it easy to clip your strap onto your keys or a water bottle as you dash to the gym! I hope you are having an excellent New Year and that these simple crafts make it easier to keep up with your New Year's resolutions! 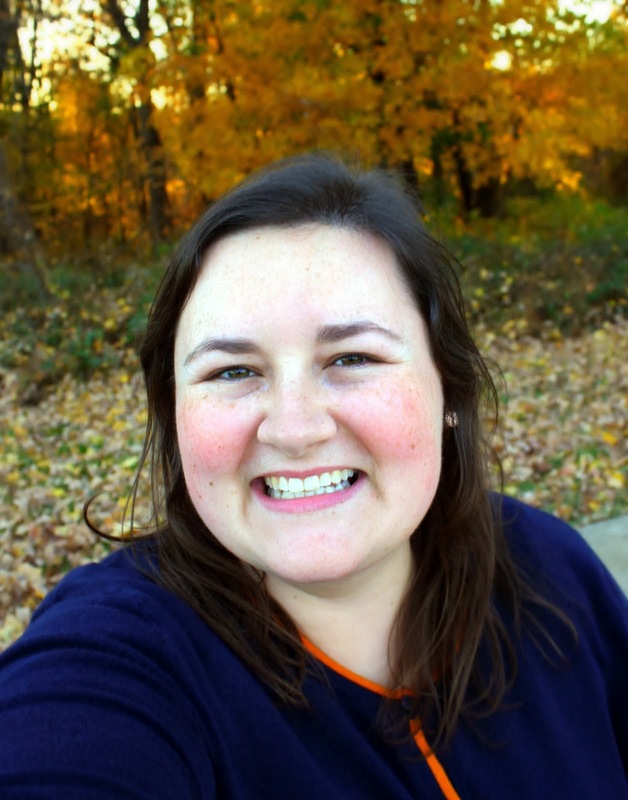 Holy cow, I love quick and thrifty crafts! You knocked this one out of the park.